Mark and Lisa warmly welcome you to Whin Hill Norfolk Cider; a small farm-to-table company located in the beautiful seaside town of Wells-next-the-Sea in the heart of the North Norfolk coast. 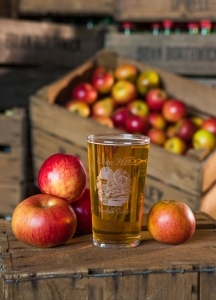 Whin Hill Norfolk Cider is dedicated to producing quality cider, perry and apple juice from our own locally grown ingredients using traditional production methods. All of the cider and perry we produce is made from cider apples and perry pears that are lovingly nurtured in our own orchards located in Stanhoe, a stones throw away from the fabulous North Norfolk Coast. The beautiful North Norfolk climate and fabulously rich and fertile Norfolk soils allow for an unrivaled quality of fruit which we harvest each Autumn using traditional methods. Our ciderworks and shop are conveniently situated on the main car park at Wells-next-the-Sea – perfect for carrying away large quantities! We have a beautiful, secluded courtyard with plenty of seating on the premises and a full licence. Why not drop in and stay a while to sample some of Whin Hill’s finest before deciding on which of our stunning beverages to purchase? 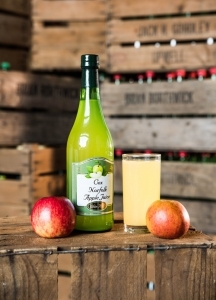 Click on the images below to see the wide range of Whin Hill Norfolk apple juices and ciders. Click on the images below to read about Whin Hill Norfolk Cider business values. 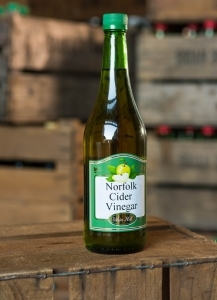 Click here to read all about our traditional Norfolk Ciderworks in Wells-next-the-Sea on the stunning North Norfolk Coast. Click here to read all about the Whin Hill Norfolk Cider Orchard. We have 10 acres of 8 varieties cider apple trees, 3 acres of apples juicing, 153 perry pear trees and a dozen old Norfolk varieties for fun! 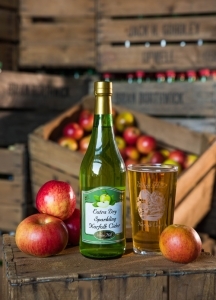 Click here to see how Whin Hill Norfolk Cider are actively taking steps to reduce our Carbon Footprint both at our Ciderworks and on our Orchard.